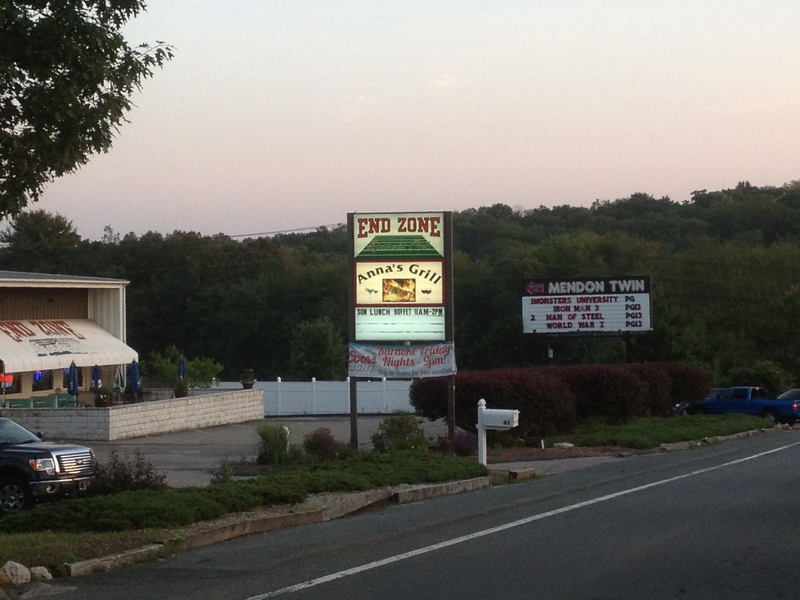 Mendon Twin Drive In - Mendon, MA - Take a day trip! The Mendon Twin Drive In is one of the few remaining outdoor drive-in movie theaters left in Massachusetts. It is a two-screen, family-friendly outdoor theater that provides a very affordable way to go out and see a double feature of movies that are currently in the theaters. With a modest entrance fee paid for an entire carload of people. the ability to bring in outside food and (non-alcoholic) drinks as well as an affordable family-friendly 50’s themed snack bar, this is a value that’s hard to beat! The Mendon Drive In is also dog-friendly as long as you keep your dog leashed and clean up after them. They also have a small play area for kids. Facilities include a snack bar, restrooms and a separate snack stand for when the lines at the full snack bar are too long. Be aware that shows on weekend evenings can fill up very quickly (shows typically start about 30 minutes after sunset) and you might need to plan to get there fairly early to ensure that you get in the theater. The audio track of both movies is transmitted to your car (or other radio) instead of the traditional speaker. This means that you can bring extra lawn furniture and a radio and split a group up to see movies on both screens. One screen usually leads off with a kid-friendly movie as well. The season typically starts in mid to late April with weekend showings only and goes until October. For showtimes and other information, visit their website.